Live in Wellington, "The New Place to Be"! This well-maintained & updated home on a corner lot offers 3 BDs/3 BAs/3-car garage. Living Room w/vaulted ceiling. Cook's Kitchen with upgraded pine cabinets, pantry & breakfast nook. Pergo flooring on the main. Lower-level family room w/gas fireplace & new carpet. Master Suite w/attached BA + walk-in closet. Unfinished basement. Peaceful fenced backyard. Newer roof & interior paint. 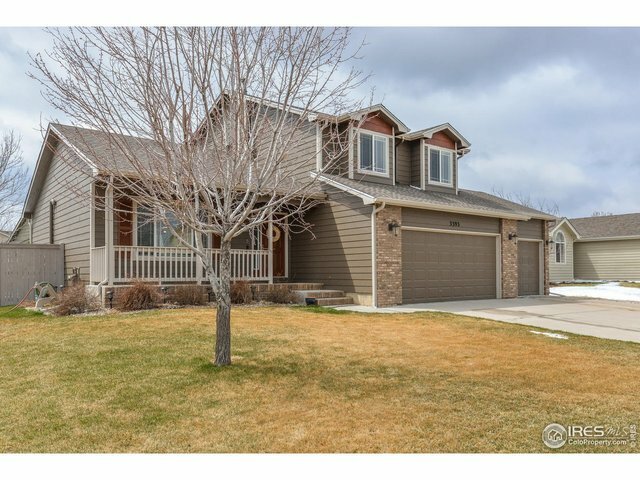 Convenient to schools, restaurants, parks, & I-25! Welcome Home!